BEST! This is the best one. David is from Guadalajara originally and he agrees. 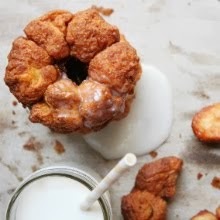 This is the donut to beat all donuts. 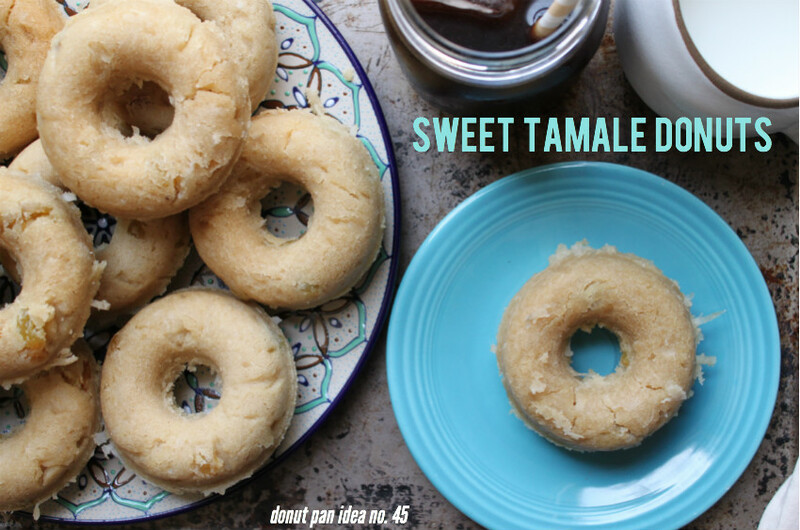 SWEET TAMALE DONUTS! Credit where credit is due: Stella thought of this one in the grocery store the other day. Brilliant! These take some doing, but you should do it. I think these actually skink by cottage industry codes because there are no eggs involved, so I'm thinking of investigating further and then seeing if I could maybe sell them at one of the twenty-plus cafés within walking distance of our place. 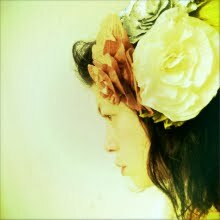 Just for fun. People are willing to pay three bucks for a donut in this town, you know. 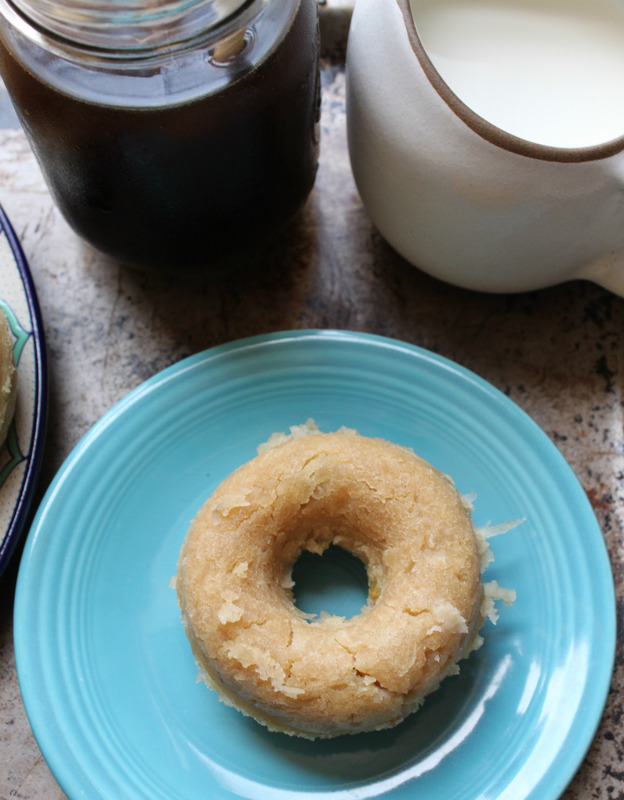 These donuts have raisins and coconut in them, and are off the hook! Click on "read more" below to get the whole recipe. I adapted this recipe written by the lovely Aida Mollenkamp. It will make a dozen donuts (actually 14, but it might be hard to steam the extra two unless you have a big steamer or a lot of patience). 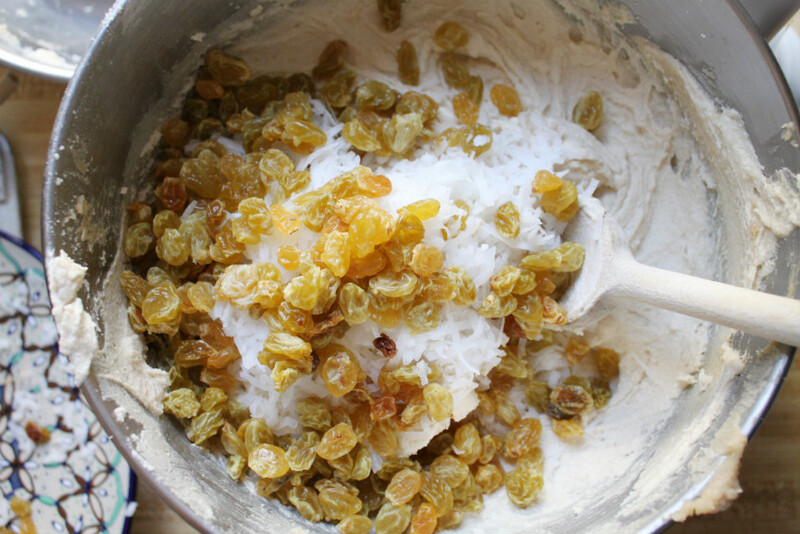 You will need 1 1/2 c. golden raisins, 4 1/2 c. masa harina (I used Maseca), 2 tsp. sea salt, 1 3/4 tsp. baking powder, 3 3/4 c. water at room temperature, 1 1/2 c. (3 sticks) unsalted butter, 1 1/2 c. light or golden brown sugar and 2 1/4 c. sweetened shredded coconut. 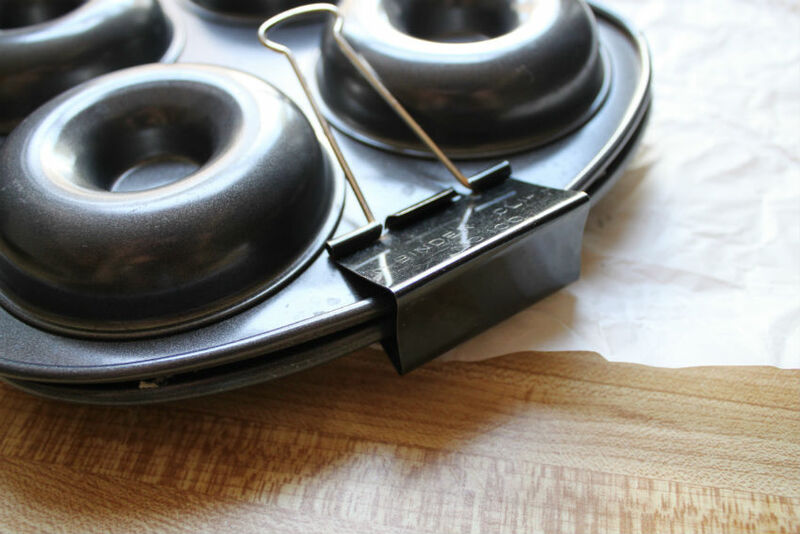 You will also need cooking spray or vegetable oil for the pans, a steamer or Dutch oven big enough to hold two sets of upright donut pans (see photos in tutorial), 4-8 metal clips for the pans, six heavy-duty rubber bands (optional), and foil to tent over your steamer. 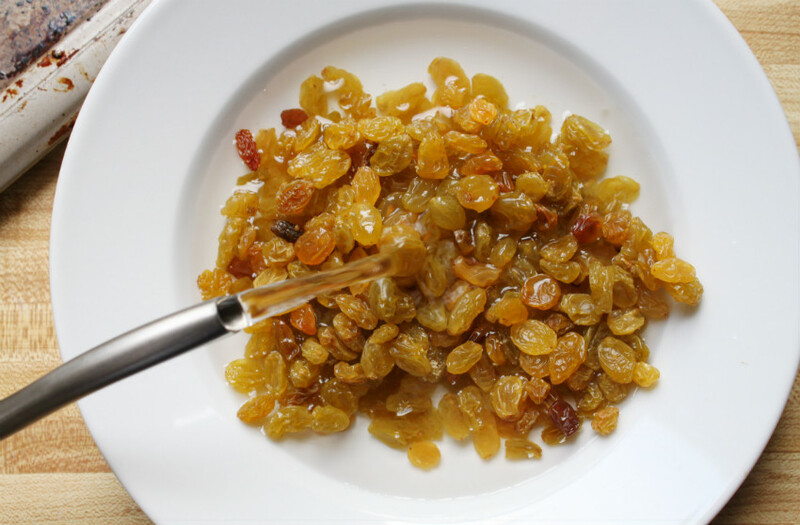 First, start by soaking your raisins in hot water for fifteen minutes (can be longer). Set aside. 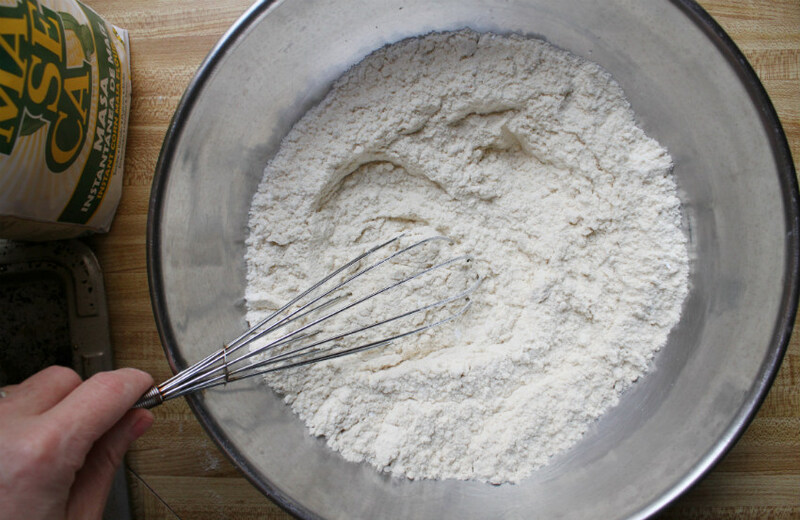 In a large bowl, whisk together the 4 1/2 c. masa harina, 2 tsp. kosher salt and 1 3/4 tsp. baking powder. Pour in the 3 3/4 c. room temperature water and stir until combined. 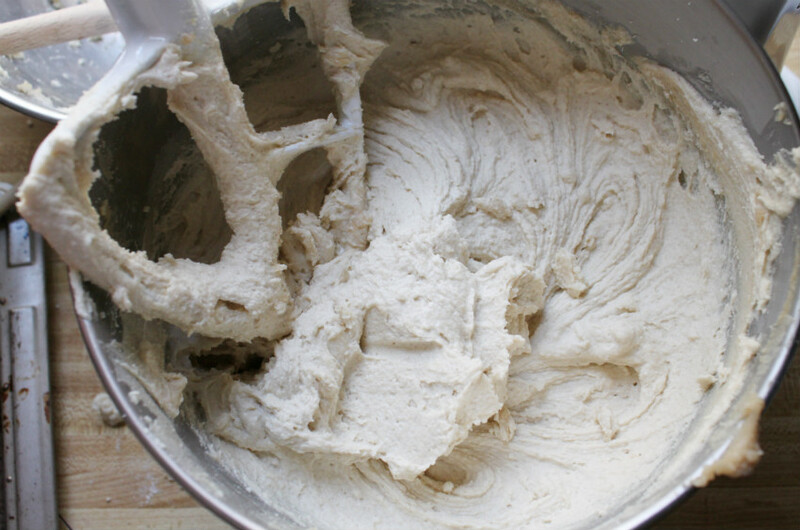 In the bowl of a stand mixer fitted with a paddle attachment, beat the 1 1/2 c. unsalted butter and 1 1/2 c. brown sugar until light and fluffy, about three minutes. 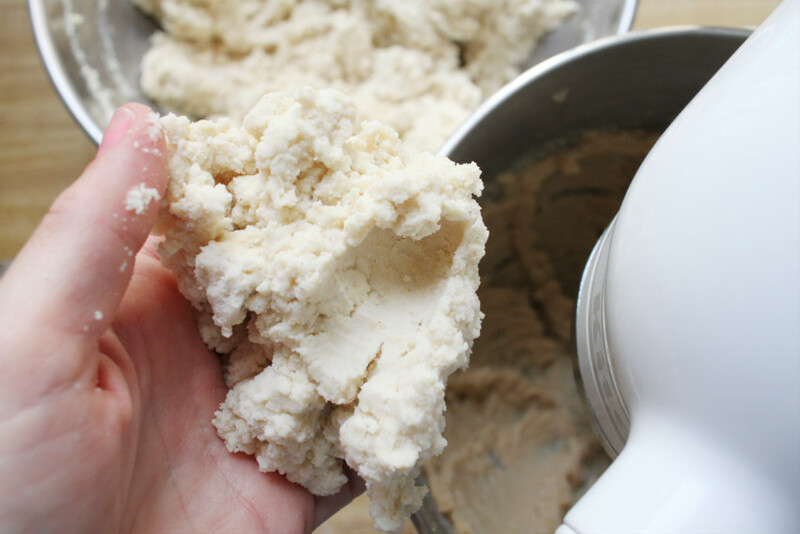 With the mixer still running, add small handfuls of the masa mixture to the butter/sugar mixture. 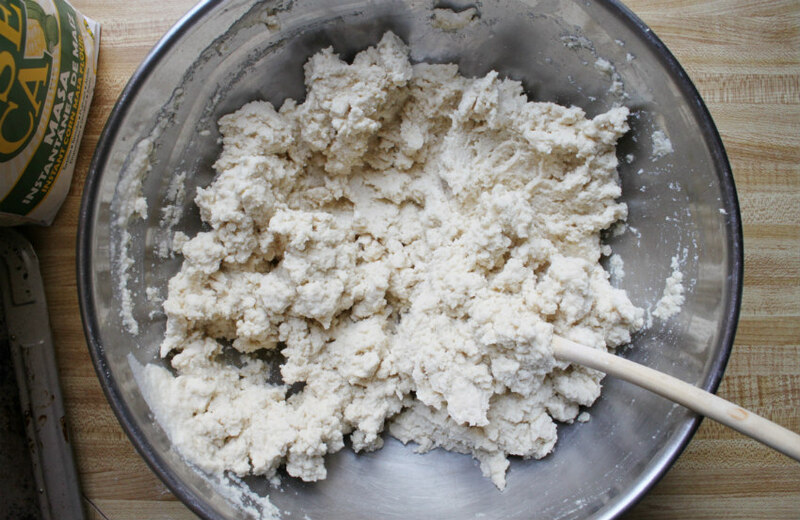 Repeat until all the masa mixture is incorporated. I was amazed how well everything integrated so quickly in the mixer bowl. I don't ever work with masa harina. It's so interesting! 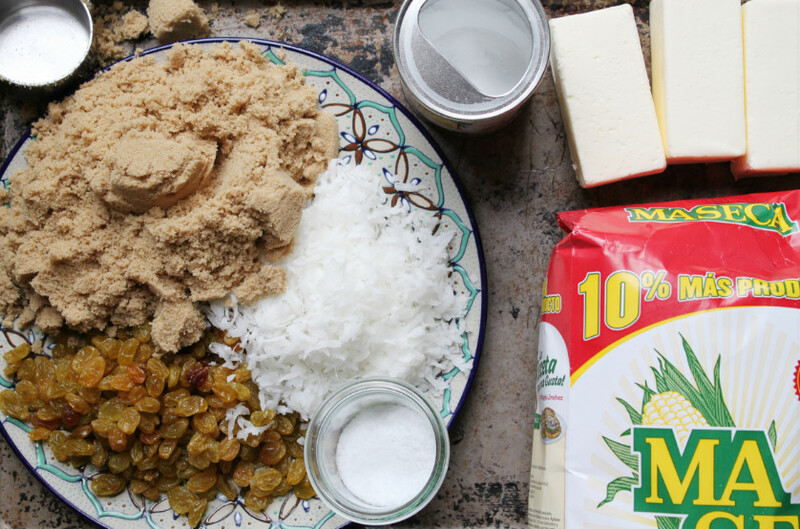 Squeeze out your raisins gently and mix into the tamale dough with the shredded coconut. Cover the bowl and place in refrigerator for one hour (or up to 24 hours). 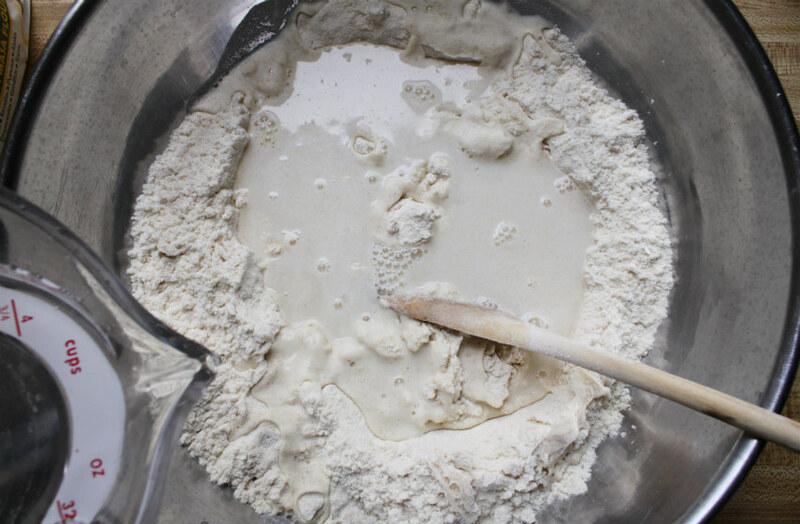 I took mine back out of the refrigerator after one hour and the dough had barely dropped in temperature except for around the edges of the bowl. No matter. It was messy to work with but steamed up perfectly! 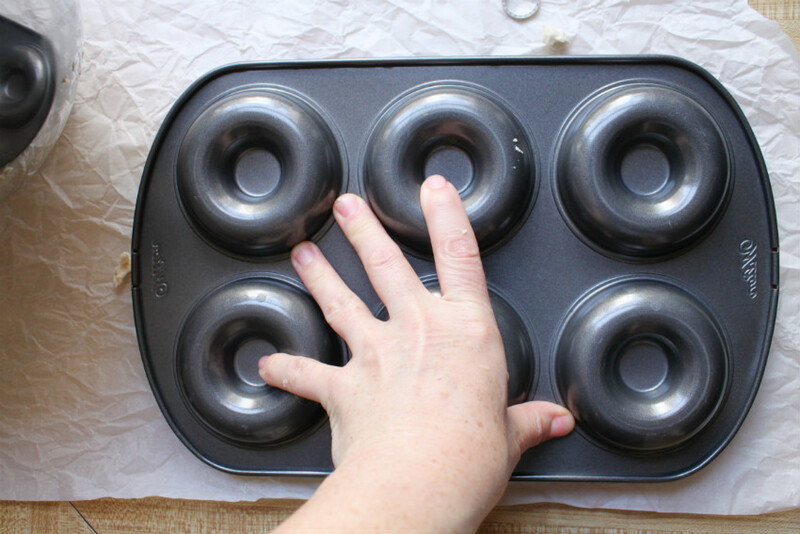 Spray four donut pans with cooking spray (you could also just lightly oil them, if you want). Fill the cavities of two of the pans as shown below. 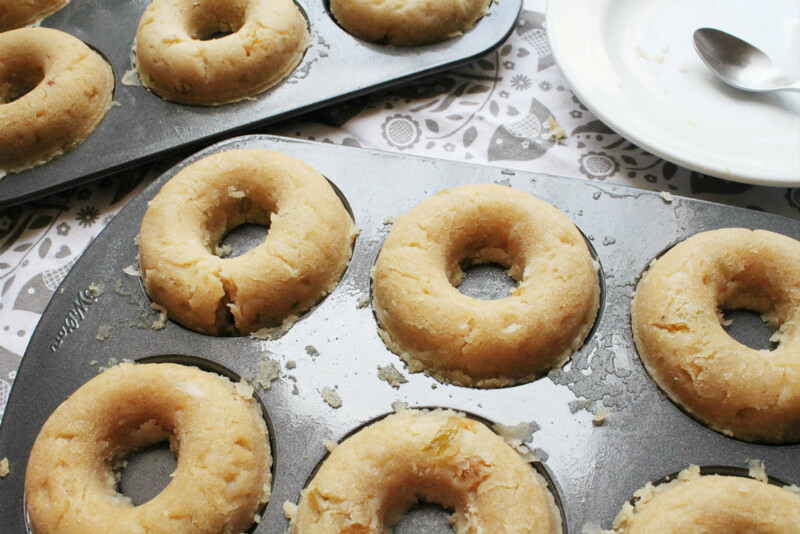 You want to shape the dough like a real donut, rounded and high. 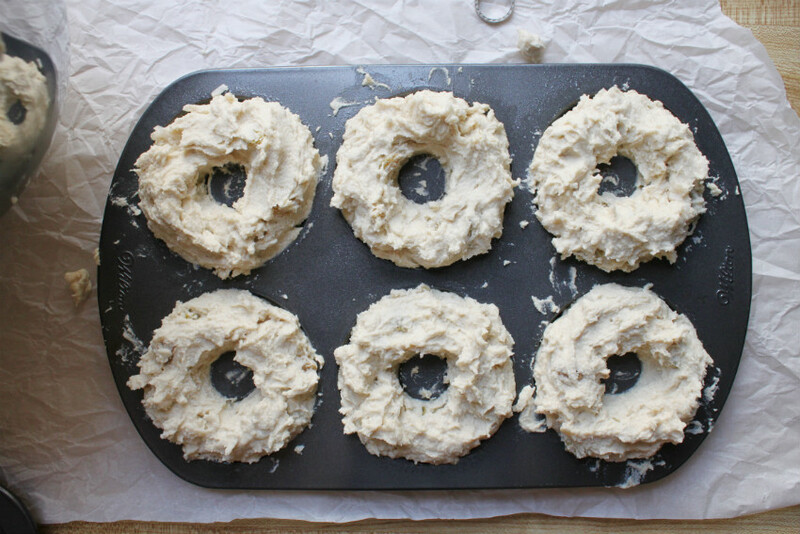 You will be clamping a second pan on top of each filled pan to mold the donuts, so it's okay if you use a little more dough than needed. 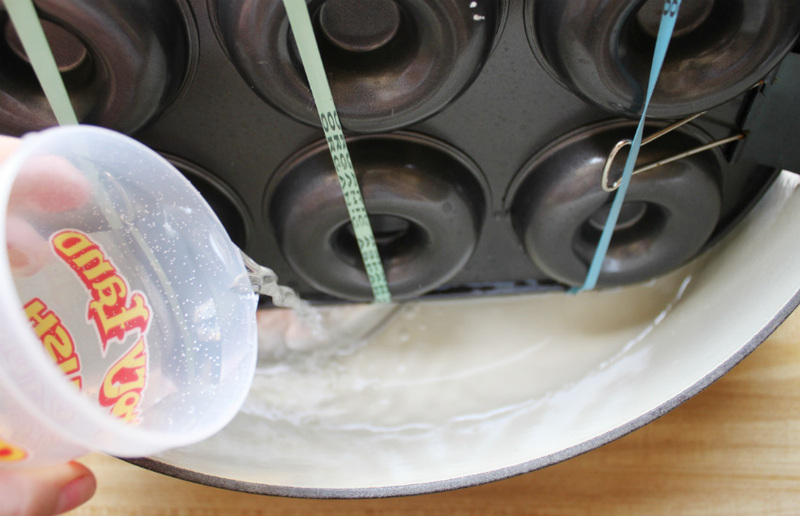 It will squeeze out as you clamp the top pans down. You should have two pans filled like this, and a little extra dough. I could only fit two pans worth in my steaming situation, so I put my extra dough in the freezer, to use at a later time. 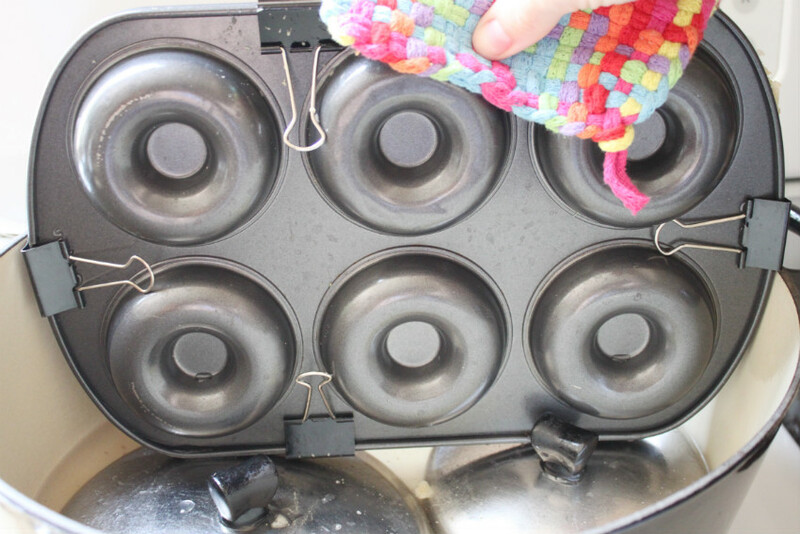 Carefully press another (greased) donut pan on top of each of the two filled pans. You are forming the other side of the donuts. Clip the sides (two clips is really enough). 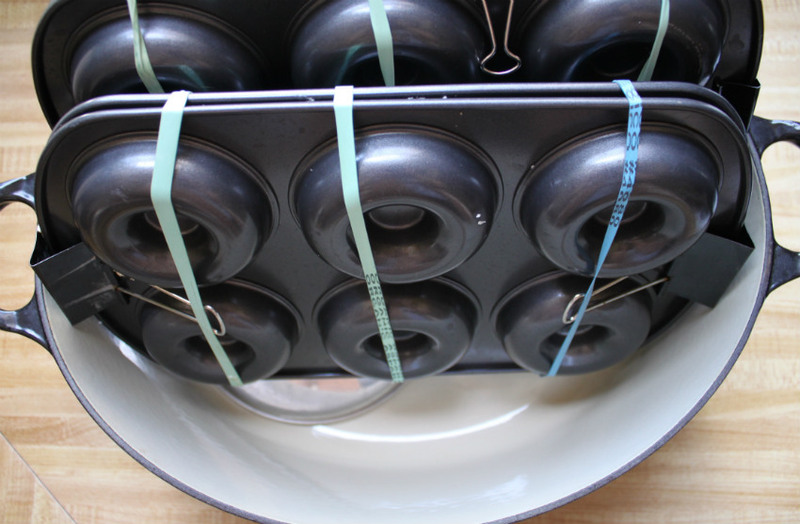 If you want, you can secure the pans further with rubber bands. My rubber bands all snapped off in just a few minutes when the heat was on, so if you feel like your pans are holding together well (the dough itself helps bind the pans together) you can skip using them. This was my steaming situation. 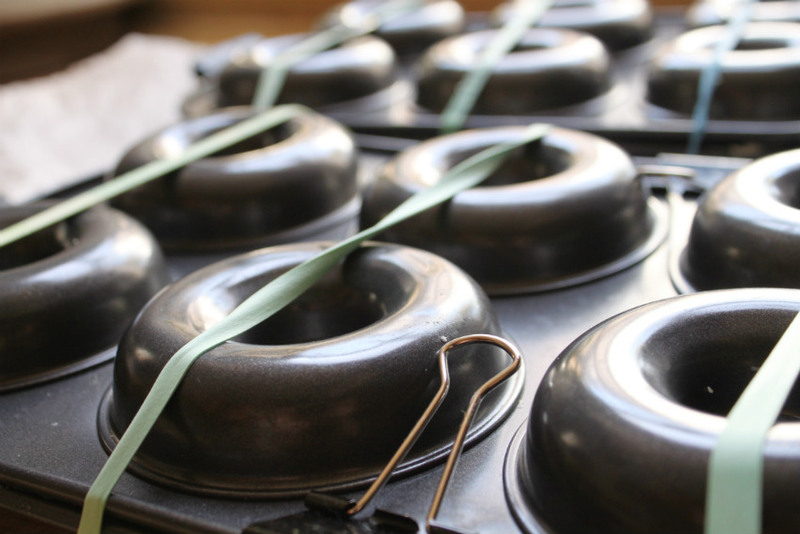 Two small metal pot lids at the bottom of a large Dutch oven, with my donut pans set upright atop the lids. If you've got a steamer that fits the pans, use it! I thought my steamer would work, but I couldn't even get one pan in, so I had to improvise. 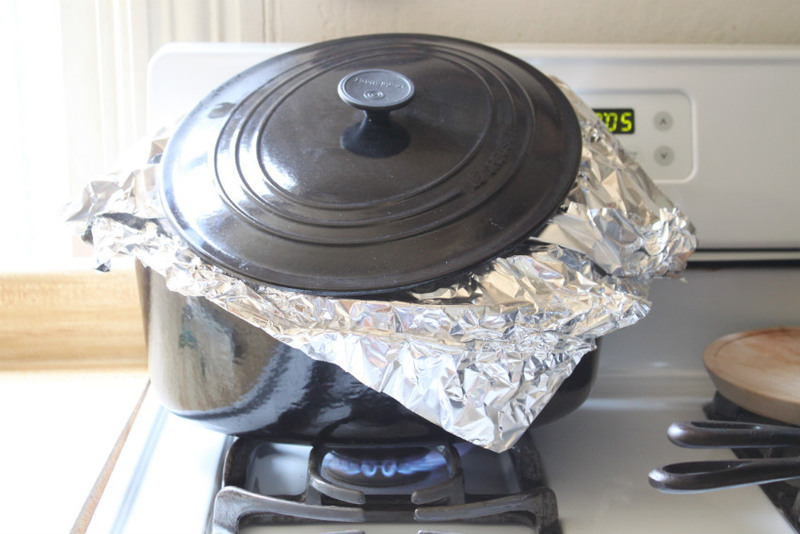 Pour in a few inches of water, tent the top tightly with foil (I even set my heavy lid on top of it all) and set on high heat. I set my timer for every 30 minutes, to be sure the pot didn't run dry. Be VERY careful if you use the rubber bands. You will start to hear them pop off under the foil, and you don't want one popping off that fast and hot into your face. Like I said above, they really are optional. Expect to steam these for about 1 3/4 hours, which is typical with regular corn husk encased tamales. I carefully flipped my pans over after the first hour to get even steaming. Remember to replenish the water in the bottom as needed. After 1 3/4 hours have passed, carefully remove from the steam and check for doneness. It's really a taste and texture thing. If you're eating raw masa, you'll know it. This was the perfect amount of time for my tamales. While they are still hot, use a small spoon to clean out the middles. 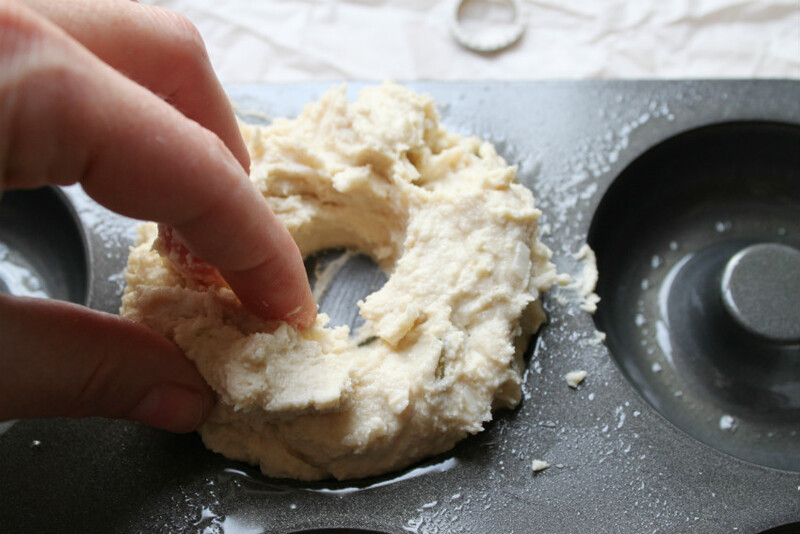 Donut pan middles aren't as high as the sides, so the dough can squish into the middles even though you've clamped two pans together. Doing this while the tamale is still hot makes a more finished looking product. You might need to clear away a little extra dough from the edges, but this was really minimal. One of them cracked. I'm not sure why, but I ate that one first. 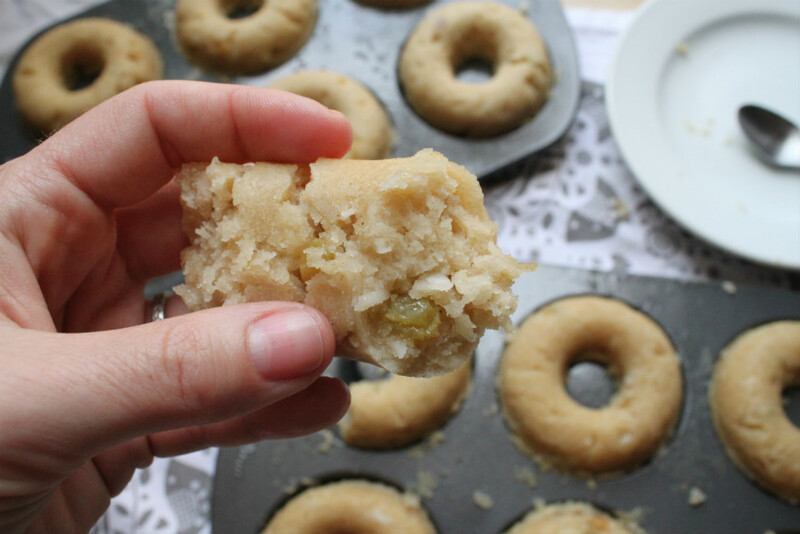 The back sides are only slightly less attractive, but they are true, handheld donuts. They are amazing served warm. To reheat, either set back in a steaming situation, or maybe slice and lightly broil them. David and I like to eat tamales heated in their corn husks on our comal, so we were thinking these might need to be wrapped in soaked husks if they are going to be eaten at a later date. The husks get charred and little bits of the tamale, too, but so good. 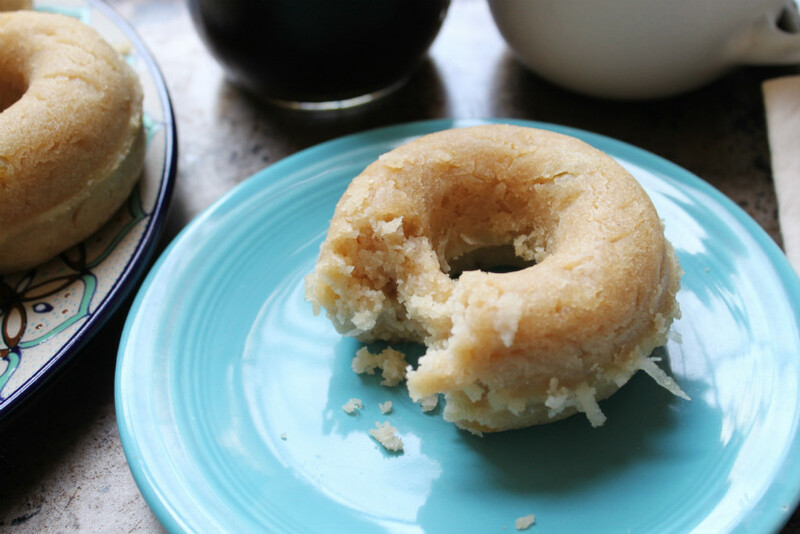 Cold coffee and warm tamale donuts. Muy, muy rico! I still can't believe how many sues you have come up with! 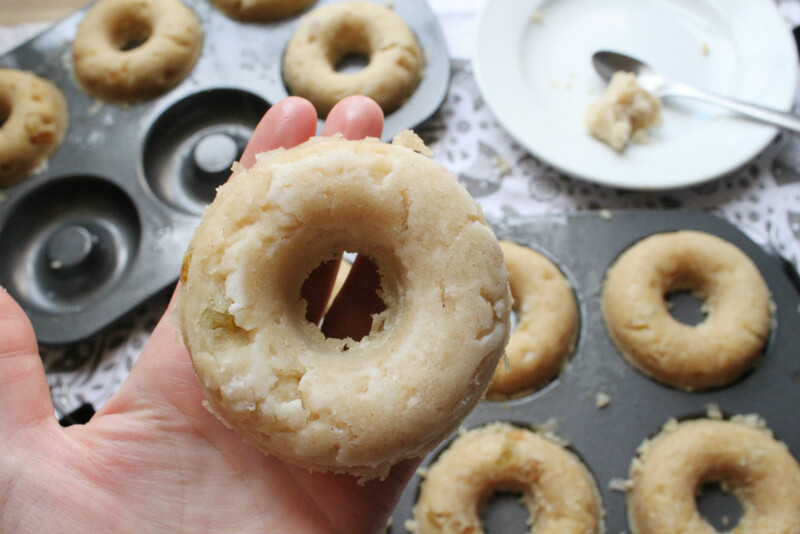 You have inspired me to buy a donut tin - and that's something I thought I'd never say! They are a lot of fun! Thank you for taking the time to comment, Clare! I wonder if you could steam them in the oven? On a medium heat and a pan of boiling water on the bottom rack? 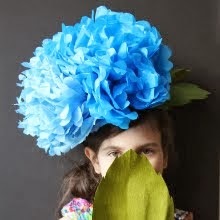 It might make it easier to make more at once for your cottage industry. 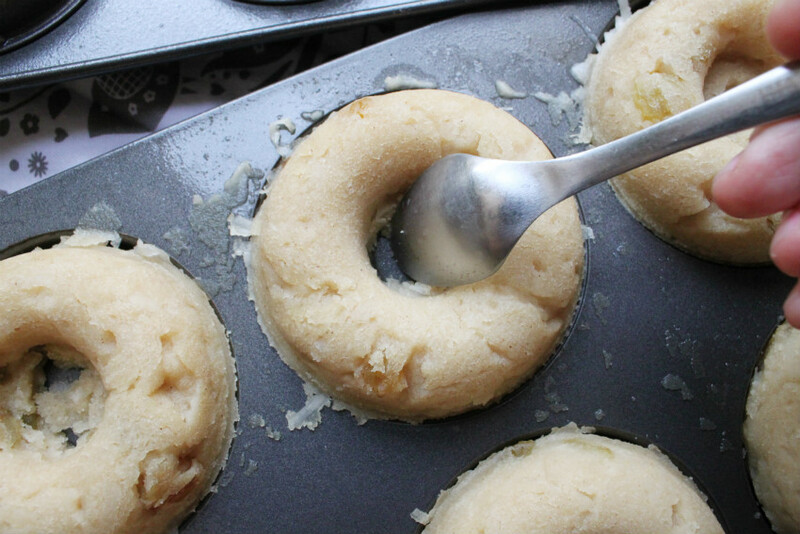 donut pan idea no. 48: sombrero cakes!